Dr David has more than 15 years of medical experience and has done over 10,000 aesthetics lasers and treatments under his belt. His aptitude is in treatments of challenging skin and aesthetics conditions affecting many Asian women and men, for instance, severe pigmentations, adult acne/pimples, and ageing skin. His continuous education through attending related conferences and seminars keeps him abreast consistently of the latest technological and medical advancements in his fields. Dr David has also appeared in Singapore media as an expert guest sharing valuable insights in many areas of aesthetics medicine. He has been featured before as a guest speaker and writer in the local Mediacorp’s TV Show “Good Morning Singapore” (早安您好), Radio talkshows eg. Capital FM 95.8 (城市频道) and FM 93.8 Live, and HealthWeekly magazines(健康报). Patient, passionate and down-to-earth, Dr David balances non-surgical and minimally invasive aesthetics treatments with his holistic philosophy towards addressing the skin and aesthetics concerns of his patients. He derives his greatest satisfaction from helping his patients enjoy a higher quality of life through their newfound confidence. We are a professional medical team that provides holistic medical aesthetics services and skincare solutions for common skin problems of cosmetic concerns eg pigmentations, acne/pimples, the ageing skin and facial feature enhancements. 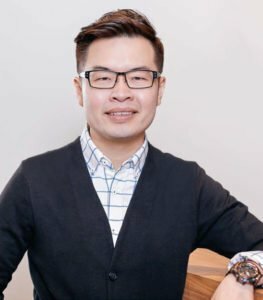 Our founder, Dr David Ng Cheow Hua, started One Face Clinic in 2016 with the belief that seeking professional treatments from a well-experienced doctor is the best way to deliver consistent, effective and safe results for you. We aim to touch lives by empowering and transforming them into the most beautiful version of themselves, and so bringing more joy and happiness into every interaction with family, friends and the world around them. One Face Clinic is positioned to be The One Right Place that provides results-oriented medical aesthetics and skin care treatments for you. Solve your skin troubles with One Face and experience a boost in your confidence, self-esteem, and quality of life. HAVE A QUESTION ON SKIN PROBLEMS AND AESTHETIC PROCEDURES? Got questions or concerns? Feel free to send us an inquiry. Bagaimana Anda mengambil kesimpulan bahwa perawatan pigmentasi tersebut efektif bagi Anda? How do you determine if your pigmentation treatments are effective for you?